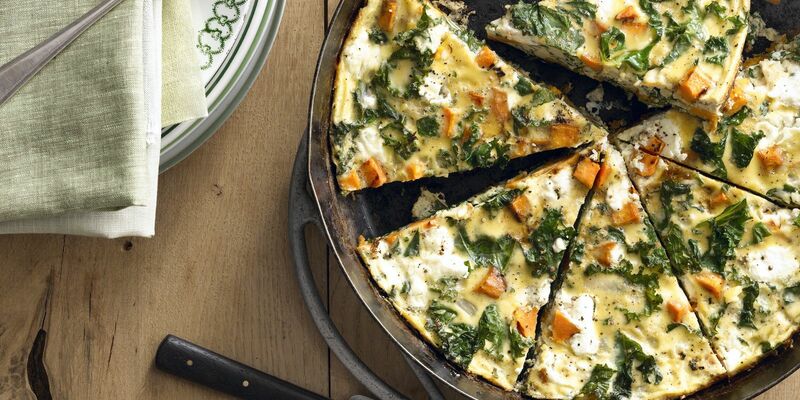 A delicious and easy frittata that is perfect for breakfast, lunch, or dinner. Don't like kale? Substitute spinach. Dovetailing tip: You prepared the cubed sweet potatoes when preparing Meal 1. Time saved in the kitchen!